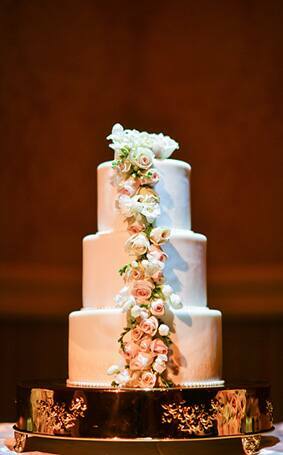 This week's Wedding Cake Wednesday is a three tier stunner with an elegant stream of roses cascading down the front. 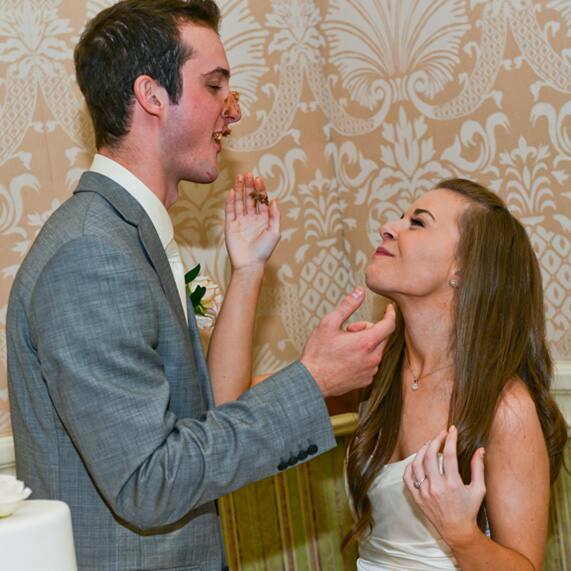 Following a monochromatic color scheme of pinks and whites, the flowers were just as sweet as the happy couple. 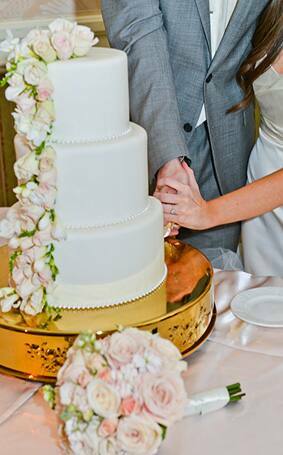 Adorned with the same roses that made both the bride's bouquet and floral table centerpieces, the cake blended seamlessly with Alyssa and John's Grand Floridian Ballroom reception.